Jaguar ranked highest in customer service in 2015, while Mini ranked highest in sales satisfaction. Porsche tops the list of luxury brands in terms of sales satisfaction in 2015. In 2015, Mini was the highest-ranked mass-market brand for sales satisfaction, according to J.D. Power research. Typically more affordable and fuel-efficient than larger vehicles, these small cars and SUVs were top-ranked for terms of customer satisfaction with the sales experience and dealer service in 2015. Jaguar tops the list of luxury brands in terms of customer service in 2015. 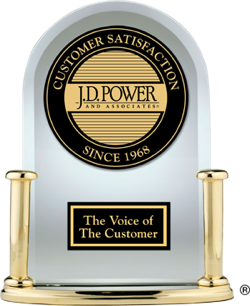 In 2015, Buick was the highest-ranked mass-market brand for customer service, according to J.D. Power research.